First I will insert that there really are more different types of Amish that I could count and not all Amish are alike. Second, just because I have come to love our culture, I do not view it better than all others. May you all be blessed as you seek God where He calls you! What I appreciate the most about my heritage is really quite near and dear to my heart. Thankfully it is not limited to the Amish, yet it really is the very core of our lives. It is to be taught about our Savior, Jesus Christ. Only because of his death and resurrection are we washed free from all sin and guilt and have a connection with God as our father. This alone gives us joy and peace regardless of what we face. Other things I do enjoy about our way of life, is having a “quieter” life without radios, television, or other social media. Recently I became appreciative of this aspect in a new way. After we had supper together, Daniel sat on the rocking chair with baby Jesse, singing song after song for Jesse as his big blue eyes gazed trustingly into Daniel’s. It was one of those moments you just wanted to freeze forever. The other children and I joined them in the living room where we sat in front of the crackling fire in the fireplace. Everything just felt so quiet and peaceful, I savored every moment. Third, while we do not have vehicles, (which really are convenient in many ways) I am thankful for the more laid-back lifestyle of driving a horse and buggy. Some of my favorite family times are Sunday mornings after everyone is dressed up in Sunday best and we all climb into our buggy and clip down the road to church as together we sing our Sunday morning favorite, “Lord I lift your name on high.” With not having vehicles we also tend to stay home more and simply have more time together at home. Aspect number four includes that of having a lower level of expenses in areas such as not having any vehicle expenses or not sending our children to college. Yes, we don’t go to college for degrees to get a job. Instead, we try to teach our sons basic concepts of building houses, cabinets, furniture, or farming, doing masonry, and such. 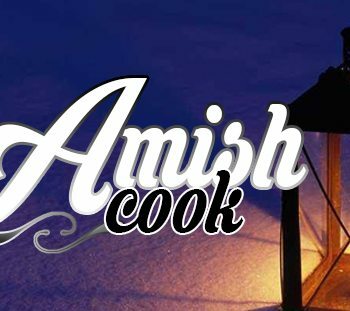 When an individual has a particular interest in a specific area at times, they start up their own business or work for another Amish person who owns a business with that occupation. Let me hasten to add that we are deeply grateful for those of you who have a college degree allowing you to be doctors and many pursue many other careers that are a tremendous blessing for us plain people! Probably the thing that I appreciate the most about having minimal expenses is that I get to be a stay at home mother with our five little darlings! Lastly, I do appreciate what has been handed down to me in that of being taught how to cook, bake, clean, garden, sew, and other essential things around the house. When I was a young girl, I had a job a day or two a week, and I really didn’t want to work more than that, knowing that I really wanted to stay home with Mom and my younger siblings and learn more details about housekeeping. Okay, please don’t start getting the idea that I’m the perfect cook or have all the information about housekeeping. I’m continually looking for more ideas and shortcuts to be utilized around here. Any advice? I’d love to hear from you! In a large skillet, brown the hamburger. Layer sliced, raw veggies on top of meat. Sprinkle with salt and pepper. Spread gravy or cheese over the top. Cover and simmer on low until veggies are tender.